I’m running behind in my fall garden projects including taking care of the fallen leaves all over my lawn. Maybe it just feels like I’m behind because of the snow we’ve been having recently. This past weekend while driving back from up north, I spotted several people catching up on their fall tree leaf clean up. They were easy to spot because of the plumes of smoke rising up from their lawns and ditches. 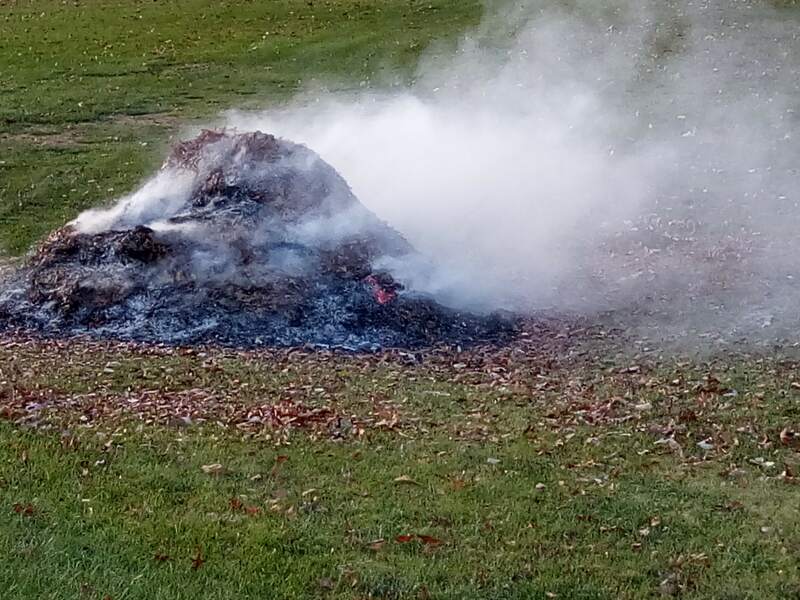 By the way, this was happening out in the countryside where leaf burning is still fairly common. Valuable soil building components found in leaves are destroyed by burning.